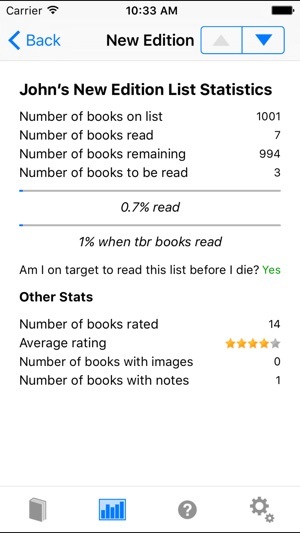 If you're looking for great novels, 1001 Books You Must Read Before You Die is a must read. 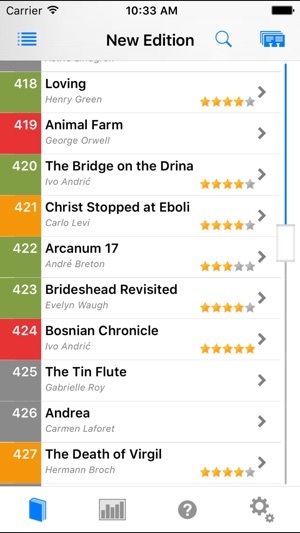 The 1001 Books App helps you track your progress with all 5 editions of the 1001 books list. 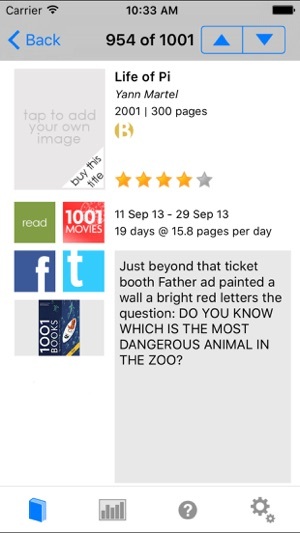 Tailor the list to your reading history by adding your own images, notes, ratings, reading time, tags, etc. 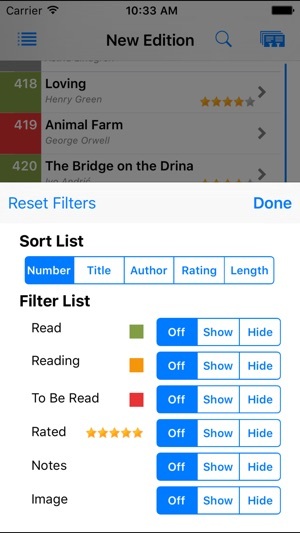 Take advantage of powerful sort and filter features and see detailed progress statistics as you take on the challenge of 1001 Books You Must Read Before You Die. Updated with 10 new books added to the 2018 edition. 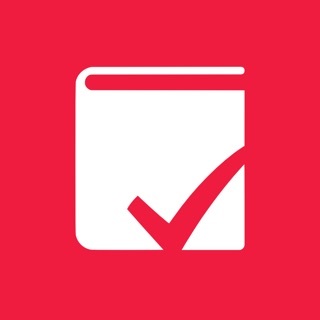 Used to work but now every time I press the List Chooser icon the app crashes. 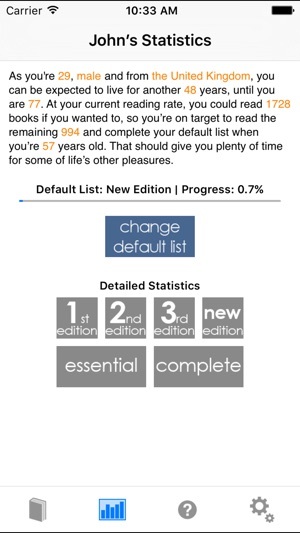 I’m stuck on ‘1st Edition’.